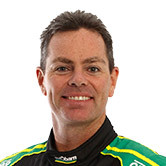 Craig Lowndes has taken his first Supercars ARMOR ALL Pole Position in nearly three years ahead of the second leg of the Tyrepower Tasmania SuperSprint. 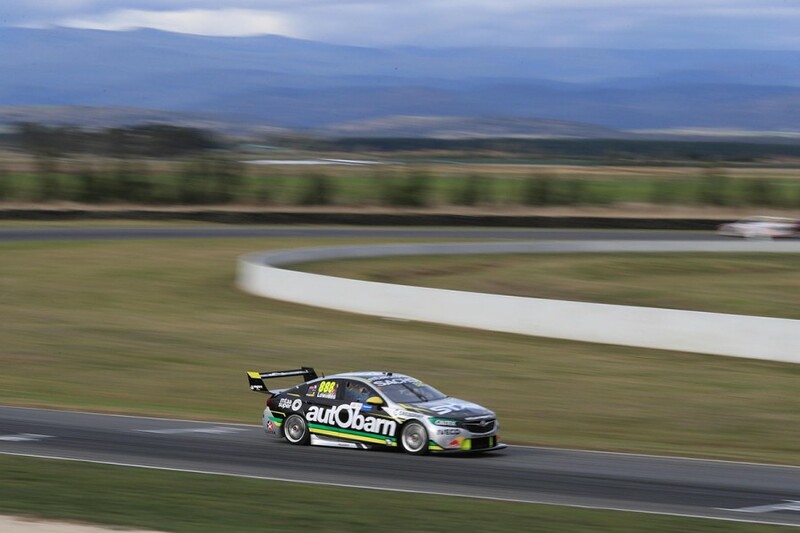 The three-time champion took his Autobarn Lowndes Racing Commodore to a 50.5790s around Symmons Plains on Sunday morning. It Lowndes’ 42nd career pole, and his first since the second race at Queensland Raceway in August 2015, 981 days ago. It was the second run with the new ARMOR ALL Qualifying format, consisting of three 10-minute knockout rounds, and with the top 10 in Practice 4 skipping the first phase. Triple Eight Commodores filled the top three places at the end of Q3, with Shane van Gisbergen and Saturday victor Jamie Whincup taking second and third. In the third and final phase of qualifying, Lowndes set the benchmark on the first run with a 50.7082s to lead his team-mates. 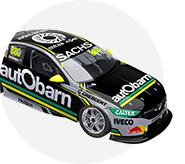 Lowndes them improved on his second run to a 50.7082s, and while van Gisbergen - who overshot Turn 6 on his first run - and Whincup also found gains, it was not enough to usurp Lowndes. After finishing second in Saturday’s race, Lowndes was 0.0080 seconds clear at the top. “The car has been working really good over the weekend,” he said. “When you roll a car out that’s 85 or 90 percent right it always makes it easier. Whincup said it was a “great result” for Lowndes, his team-mate since 2006. “He’s been quick all weekend and I think this [qualifying] format suits him,” he said. The Shell V-Power Racing Falcons of Scott McLaughlin and Fabian Coulthard were the only non-ZBs in Q3. McLaughlin wound up fourth and Coulthard sixth, both two tenths off the pace set by Lowndes and sandwiching Tekno Autosports rookie Jack Le Brocq. “I think we’ve bridged the gap a little bit, but we’ve still got a bit to go,” Coulthard said. “We’re definitely closer. The guys have been working hard to make me more comfortable and it’s great to have two cars in the top six. In a Triple Eight-built Commodore, Le Brocq followed up on an impressive Saturday in which he qualified ninth and finished 10th. “We’ve all gone a different way,” Le Brocq said of the set-ups being used by the drivers in the Triple Eight ZBs. The Commodores of James Courtney, David Reynolds, Garth Tander and Scott Pye rounded out the top 10. Pye was the only driver to advance from both Q1 and Q2, joining the Triple Eight trio in opting against a first run in the middle segment. In Q2, Van Gisbergen turned a 50.6250s to lead the way, shading Reynolds, Whincup and the Shell Fords. Courtney was fastest after the first runs in Q2 and ultimately fell to 10th but had still done enough to progress. The three Tickford Racing Falcons went no further than Q2, Chaz Mostert its best with 11th, one spot ahead of Mark Winterbottom and three up on Cameron Waters. Rick Kelly was the lead Nissan in 13th, the other Altimas of Andre Heimgartner, Michael Caruso and Simona De Silvestro 19th, 20th and 23rd. Pye left his Q1 run to the closing minutes, turning a 51.0003s on his second flying lap to finish just ahead of Winterbottom and Tim Slade. Waters, Mostert and Will Davison also progressed, while Nick Percat missed out on advancing by just 0.0354s. Todd Hazelwood went off twice on his way to 11th in Q1 and 21st on the grid in his Bigmate Racing Falcon, but was still the second best rookie after Le Brocq. The 84-lap Race 8 of the 2018 Virgin Australia Supercars Championship starts at 2:05pm.